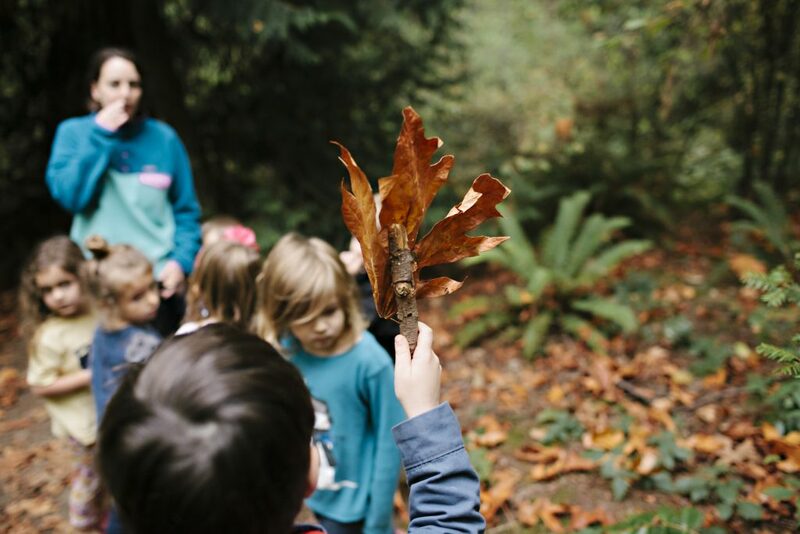 With extraordinary views of Puget Sound and the Olympic Mountains, a pebbly beach full of hidden treasures and an active salmon stream, Carkeek Park is an ideal location for exploration and hands-on learning. 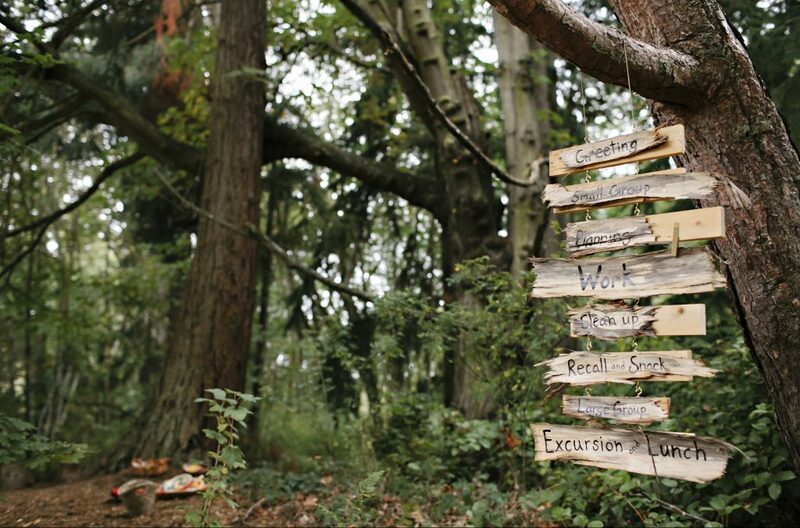 Your adventurer will ramble through 220 acres of big mossy trees, get muddy and giggly in the hidden meadows, wetlands & beach, and search for salmon on the banks of Pipers Creek. 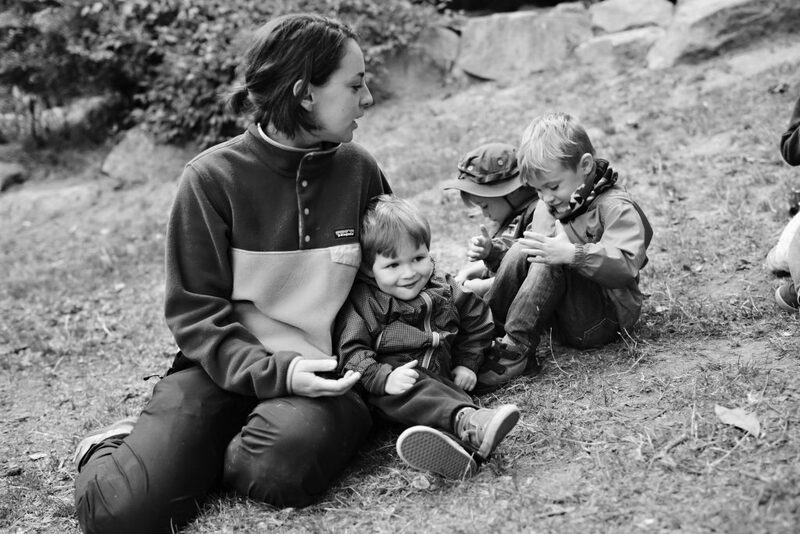 At Carkeek Park, the majestic landscape is an additional teacher – presenting ample opportunities to learn math and science concepts through the natural world. 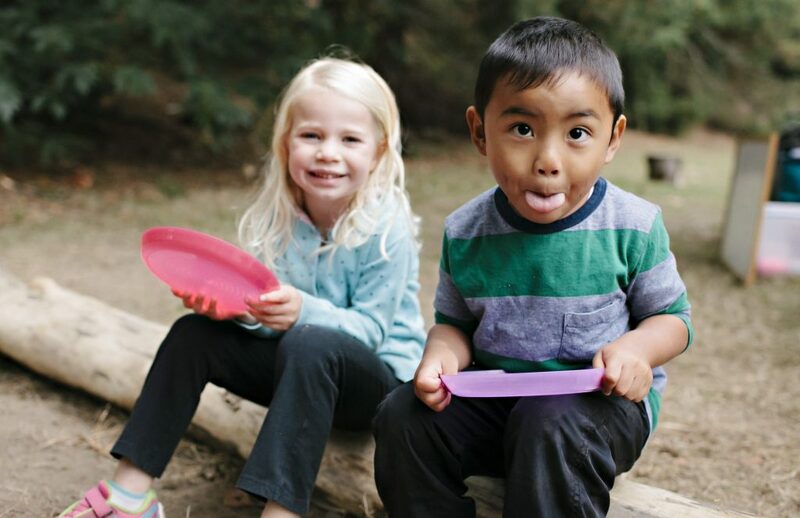 In our awe-filled outdoor classroom, your young explorer will play with symbols, letters and ideas. 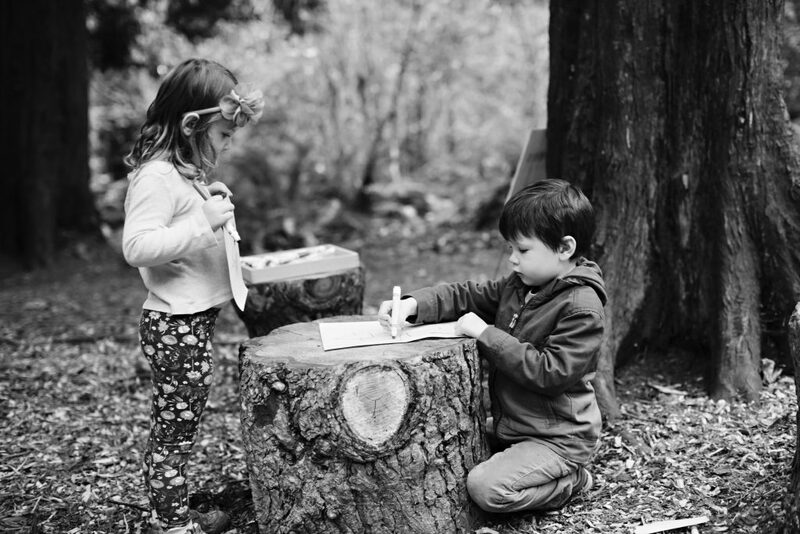 They will play in a language rich environment with written words for the names of the trees, plants and creatures that make the forest home. And to explore the world of science, and test the possibilities of the natural world, your child will plan their own experiments and share what they have learned with classmates through daily plan – do – review sessions. 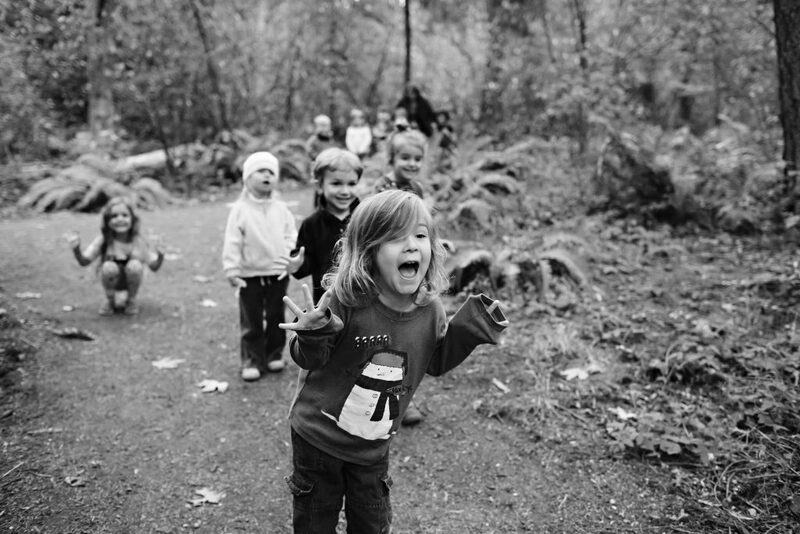 Tiny Trees Preschool is a partnership with Seattle Parks and Recreation. A big thank you to all of the park staff & community allies who have made this school possible.